You can't buy one, at least not yet. But I bet you'll want one when -- and if -- it reaches the market. 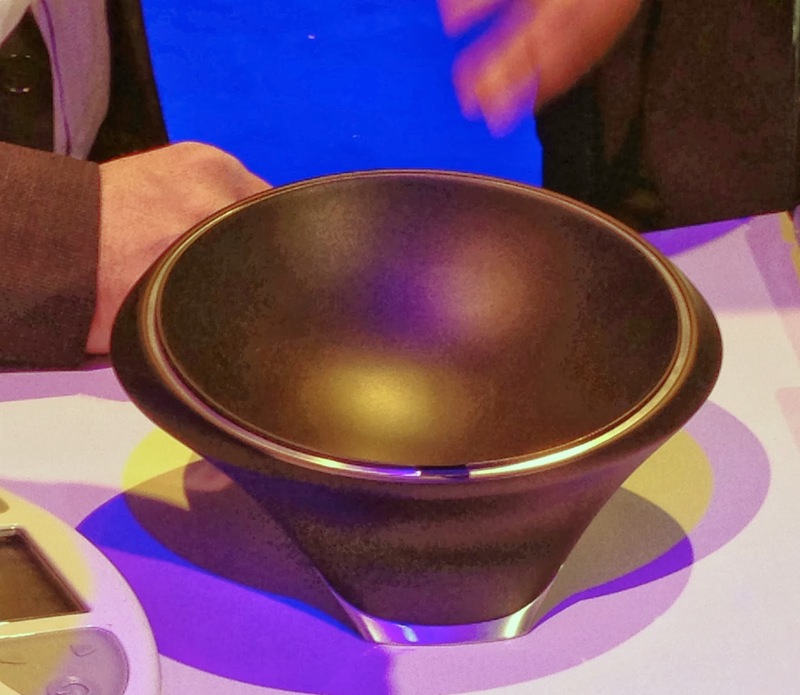 Intel's idea for a charging bowl was one of the hits at International CES earlier this month. The idea is a bowl like the one you might have to collect your keys, spare change and other odds and ends. But this bowl would welcome your mobile phones, music players, Bluetooth headsets and anything else that needs a power charge. Users could drop in their devices for a power up using magnetic resonance technology. That sounds a lot better than the tangle of wires we have in our kitchen. But I'm not getting too excited. So far, it's just a concept. Intel had no release date and no price estimate. And at the time of the show, it only worked with one Intel-brand headset.